Besides, the travel card makes budget for travel much easier since it allows you to lock in the current exchange rates when loading your cash on it. Why carry a bulk amount of cash in different currency while you can simply get a travel card? Travelling has never been this convenient. Besides, the travel card makes budget for travel much easier since it allows you to lock in the current exchange rates when loading your cash on it. With the travel card, you no longer have to worry about you local currency taking sudden dips and dives while in your vacation. The travel card can also be used to make point of sale purchases. Furthermore, if you love walking with cash in your pocket, just in case you need it, then the card allows you to access you cash through ATMs in the foreign country. It gets even better. You no longer have to worry about paying the currency conversion fee every time you make an ATM withdrawal provided you choose the corresponding currency when loading the travel card. However, there are other fees, which is why you need to know how the card works. You have probably used a VISA or a Master card branded debit card. You know that these cards work in a similar way to the credit cards except that you are using your own cash. A travel card works the same way and does not in any way leave in debts. Users load money on to the card before going on a trip. The best part is that the travel card is designed to hold a variety of currencies making it useable in foreign countries. The card also allows you to keep track of your cash while in a foreign country and your salary has come in. For instance, assume you are taking a trip around the world visiting different countries regularly. 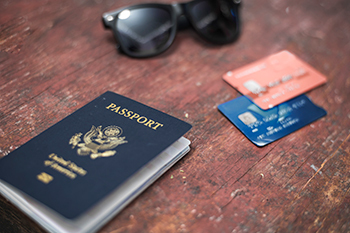 With the travel card, you will be able to budget on your spending in each country you visit then load with a corresponding currency to the next country you visit next. This way, you will be able to know how much you spend in your local currency for each country you go to.